On Saturday, June 20th, the Penn Kingsmen traveled to Indianapolis to take on Terre Haute North for the IHSAA Class 4-A State Championship game at Victory Field. Penn jumped out to an early 3-0 lead after Nik Kavadas and Trevor Waite drove in key runs in the 1st and 3rd innings. Skylar Szynski took a no-hitter into the 5th inning and it was then broken up that inning when Terre Haute hit a 2-run double to make the score 3-2. Szynski got the first 3 batters out in the 7th inning to seal the victory. 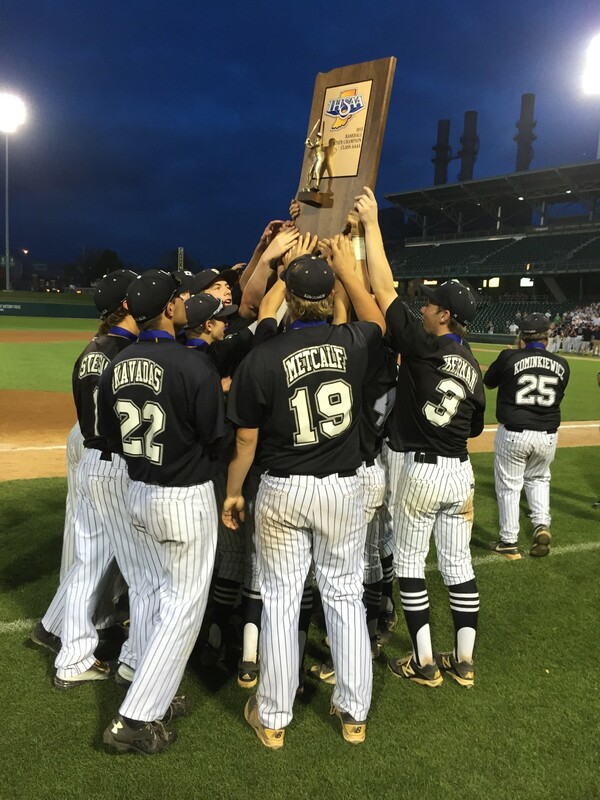 This win gave the Kingsmen their fourth state championship in program history with head coach Greg Dikos at the helm. Junior Nik Kavadas is among the players returning next season and had a few comments on why the Kingsmen think they can make it back to Indianapolis. Watch out for the Kingsmen next year as they should be the favorite to win the state championship. The Kingsmen return seven of their nine starters next season, including Indiana verbal commit, Skylar Szynski. Penn looks to go back to back for what would be the first time in Penn Kingsmen history.